More than 25 delicious Iced Tea Recipes to keep you cool all summer long! For me, nothing screams summer quite like an icy cold iced tea. It’s refreshing and smooth and perfect to cool off with on a summer afternoon. Tea has come a long way from where it once was, suddenly the addition of lemon and honey has become very, well… BORING and the tea itself has become a base for something much more magical. Today, teas of all flavors and colors surround us just waiting to be steeped, chilled and enjoyed. But let’s face it, it’s the 21st century and we just don’t know how to leave things be! We like to make things BOLDER, Brighter, and of course… tastier with additions Momma would never have thought of! 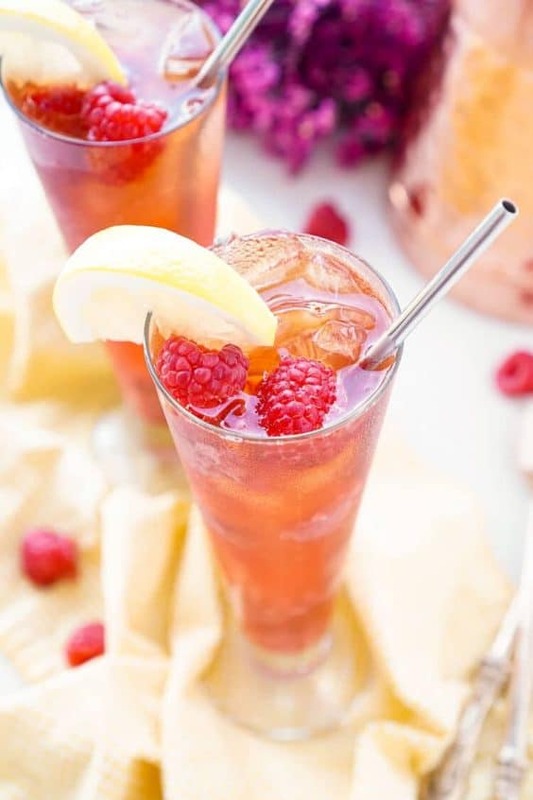 I’ve gathered up more than twenty-five of the most intriguing iced tea recipes on the web! Scroll down to check them all out and click each description to take you to the recipe! This ain’t your Momma’s ice tea… this is yours! Enjoy it! Thanks so much for including my tea recipe in your roundup. We really enjoyed it; just a great summer refresher! You are most welcome, Barbara! I’m going to have to make it soon! Happy Summer! Thanks so much for including my iced tea in your roundup – so many great options to try!